Good thing it was labeled properly so I didn’t mistake it for a refreshing drink. um. . . . ew. 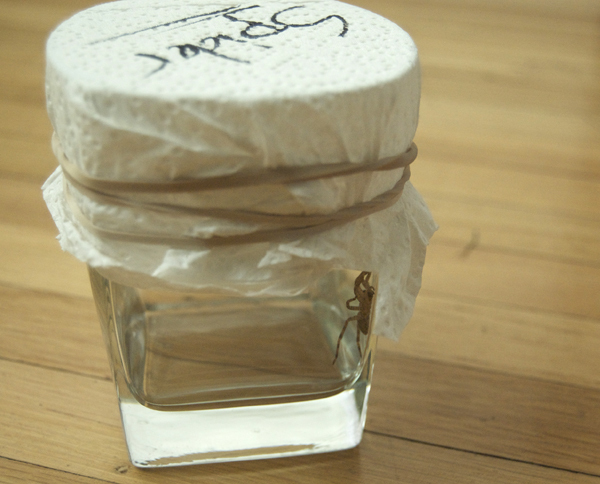 Ask Chris what he does with a scorpion in a jar, an epinephrine syringe in his hand. Revenge!! !